THE NEXT PRE-MARRIAGE WEEKEND WILL BE ON MAY 10th – MAY 12th. ‘We heard about the course from … past participants’. ‘Thank you sincerely from both of us. It was a very special and inclusive weekend of essentially important knowledge, sharing in helping us prepare for our sacrament of Marriage…Thanks! May 10th – 12th: Friday 8pm to after lunch on Sunday. A Residential Weekend, from Friday evening 8pm to after lunch on Sunday. Sandwiches galore etc. on arrival. Everything supplied. Just bring yourselves! Thank you to all involve, the weekend was well structured, on depth and well presented. We have both learned some valuable lessons to help prepare us for married life. Really enjoyed the course, we both got so much out of it. It was lovely being in Esker,- the accommodation, food and hospitality was excellent. Amazing weekend. Very grateful. Thank you. Thank you for your generous spirit over the weekend. Very enjoyable weekend. Nice and relaxed environment. We felt the course was absolutely fantastic. Thank you to the couples…. for being so honest. It makes you realise that some of the things that you go through in a relationship aren’t that disastrous and you can work through them. It was lovely to hear from real couples. It really opened up the lines of communication for us and we are much closer and stronger as a result. Thank you so much for sharing your personal experiences with us. Overall, a wonderful weekend, great experience. Will most definitely benefit us in our future. Great food. Well run. …Stronger relationship coming out of the weekend. An incredible, life-changing experience I would say. I feel renewed in my own faith and excited about building our relationship with God as a couple. We both thoroughly enjoyed it. We found the course to be really great in preparing us for married life ahead. Everyone involved was very open and welcoming and it was great to draw from the experience of the married couples. We will definitely recommend the course to all of our friends. Thank you so much for really helping me and N grow more in love and more stronger this weekend. What a magical weekend – we cannot thank you enough. This course was amazing. Would highly recommend to people. Team are fantastic and very honest and open which is really nice to be a part of. Thank you for your commitment in giving the course. Your dedication really comes through. The course is really well run … Really enjoyed the openness and candour of the speaking couples and the time and technique of writing to each other. Thank you. This weekend was the most special thing we have ever done for our relationship. The generosity of spirit of all the w/e team was outstanding, we feel very grateful for having experienced it. It brought us closer together and gave us good tools to help us maintain unity through our marriage. We found the course speakers excellent and open. Than you for your time. We highly recommend this course. 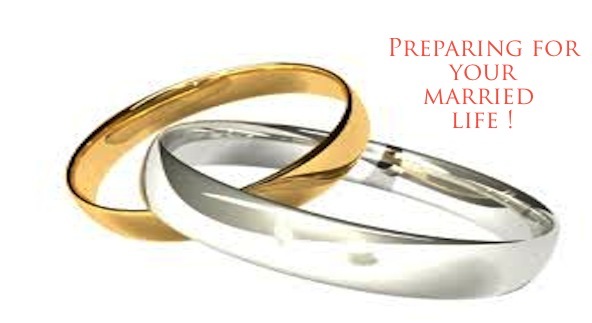 Click here or go to ‘What we do’ on Homepage, for details about our PreMarriage Courses, and also to read comments from couples who have experienced this course in Esker in the past two years. ← The Annual Blessing of St. Dominic’s Well at Esker: Sat. Jan. 5th, Sun. Jan 6th. I just want to check if there is still availability for the pre marriage this coming weekend?